We were all once idealistic, launching new websites with fresh contents, graphics, and animations and we thought, this is it! We would get traffic, people will flock our sites and discover our brands and we will get the conversion we dream about. So we popped-out the site and wait for that website visitor counter to run but to our dismay, it got stuck. Well, there were at least few visits – from you and some of your friends who you asked to check your website out. But that’s it. And we got our taste of reality check. We all wanted to see the website we worked hard for with our blood, sweat, and tears to be on the first page of Google or Yahoo or even Bing. It is a known fact that majority of people don’t click past the first page of search results, so it has to be there. But it is not easy to show up in search engine results pages, especially on the first! So if it’s that hard, then why do the other websites show up? How do they do it? The difference between our websites and theirs is a three letter acronym that you probably heard before but didn’t really think is important, and that is – SEO or Search Engine Optimization. What is SEO? Search Engine Optimization or SEO is a marketing strategy to improve search engine rankings. It is making sure that a website can be found in search engines for words and phrases relevant to what the site is offering. Whenever someone searches on search engines, that someone would get links to pages that Google, Yahoo or other search engines consider relevant and authoritative. Authority is about having number and quality of links from other web pages. In simple terms, your web pages have the potential to rank if other web pages link to them. Years ago it is easier to rank up on search engine sites with just putting up keywords on your website but not these days. I would try to channel a great American philosopher named DJ Khaled and remind you that the major key to success here is CONTENT. Content is King. But not just simple content. Studies say that websites that have content about everything won’t do well. So what does this mean? This means business owners should decide on what kind of content to put out there and focus on it. Find a niche and produce thoroughly written articles and entries about that certain topic. For example, if you are a start-up coffee shop owner in Boston, you have to create a better buying experience for customers not just on your store but also online. Boston is a place where innovations and preservations collide. Boston is a culturally rich city, combining great architectural and historical places with old and new influences for thriving small coffee shops.With more than 50 plus colleges and universities in Boston, the city of Boston is full of students who would surely need a coffee break to make it through a gruesome day. Coffee shops in Boston can be described just like the city of Boston itself, eccentric and having a mix of personalities. These personalities should also be present for your brand digitally. Your website should be the digital extension of your physical store. One search on the internet should lure people in Boston to choose your coffee from hundreds of coffee shop spread cross Boston. But selling hot delicious coffee online doesn’t really sound right in business owner’s minds. It’s doesn’t make sense, at first. And they can never be more wrong. Websites that show up on search engine sites provides phenomenal information in the form of in-depth and carefully curated blog posts. It doesn’t stop with written words, as they put up videos illustrating how well-crafted their coffee and providing a customer experience even before clients walk-in the coffee shop. It wouldn’t also hurt to put information like your business’s location, hours of operation and menu. Improving SEO of your website today should start by first identifying the content you want to put out there and look at the current content you have on your site. It is important to remember that this won’t be an overnight process. It can be time-consuming and to be honest a lot more confusing for people who are new to content marketing. And that’s where an SEO Agency would come in. It helps to engage someone outside of your company, like an SEO Agency to acquire a better perspective on the status of your content. An SEO Agency can assist you to set some SEO goals. All SEO Agency know how vital it is to be visible to your target market. SEO Agency would stop you from scratching your head on figuring out why your website is still stuck in the deep dark corners of the inter-web. A website with no visitors will most certainly won’t win you sales. Most SEO Agency or any other place would promise to fulfill your intent to drive organic traffic, entice quality visitors, and guarantee consistent growth. SEO Agency offers services like Audit, Keyword Research, On-Page SEO and Link Building. An Agency will audit your website and see what to be fixed. Acquiring linking opportunities that are relevant and related to your industry is also on an Agency’s to do list. Agency has expert managers that would work dedicatedly for your business’s success. An SEO Agency whether in Boston or any city in America would also set up campaign dashboard for you to track your site performance. Compare to any digital marketing services, SEO has one of the highest success rates. 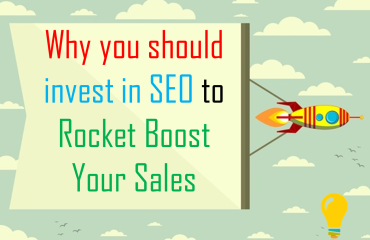 It is an investment, especially if you are hiring an SEO Agency, but relative cost of the initial investment, is minimal in comparison to the potential revenue SEO can bring. Discover the value of Search Engine Optimization and jump on the bandwagon today! Michelle Phipps is an SEO Services provider and the co-founder of digital marketing company Business Buddy Inc., who have a well-known name, when it comes to providing web design, SEO, Social media, logo, Graphic, printing and promotional services.